When you can do something completely different this holiday. Come over to Codrington & join us on our wonderful rural property on the un-spoilt South West Coast of Victoria, the region famously known as "The Shipwreck Coast. All our units are set within 6 acres of private & secluded gardens. 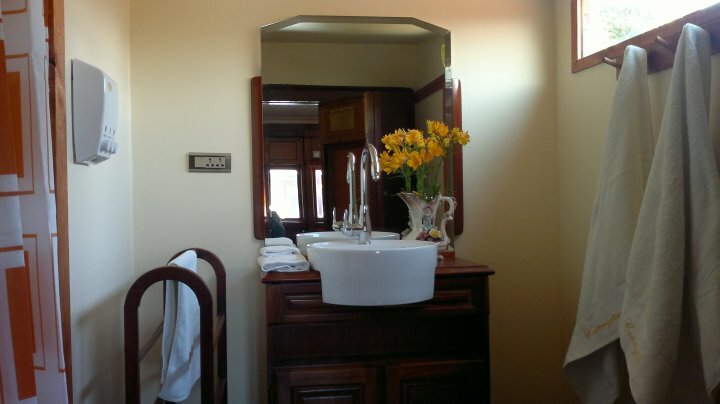 You can stay in a Period Train Carriage for a truly unique experience, the "Port Fairy Flyer" is a 1894 carriage now a sumptuous room for 2, "Overland" is a 1907 carriage with a First Class feel, Bondi Express is a one of a kind double decker carriage offering a wonderful & memorable experience. Or choose one of our traditional Country Cottages & enjoy a sense of Rural Splendour of a bygone era. Olive Tree Cottage is a 2 bedroom very spacious cottage with bright sunny aspect, Gooseberry Cottage is a smaller 2 bedroom cottage with a marvellous deck overlooking quite gardens, Settler Cottage is the original "settlers" cottage mid 1800's now renovated to a wonderful modern unit with 1 bedroom and big living area & Station Master Lodge is a single bedroom with a great sunroom overlooking the court yard gardens. 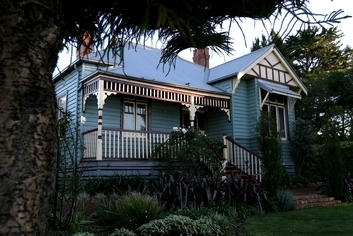 AWARDS Voted in Top Ten "Best Place to Stay" in Victoria in 2007, 2008, & 2009. Voted finalist "Most Unique Place to Stay" 2009 & 10. 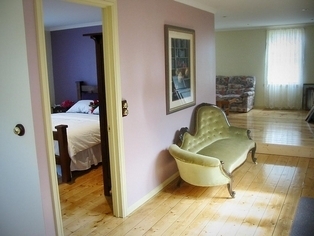 Our units are AAA & RACV rated as 4 Star and 3.5 Star. 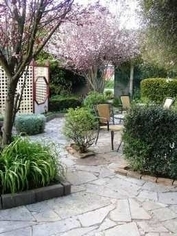 Codrington Gardens is a feature of the area, something far more interesting & relaxing than a stay at just another motel or hotel in just another Town or City. 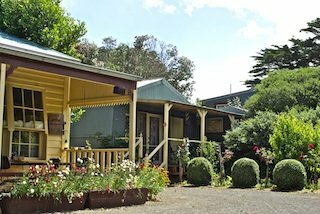 The short drive out of Port Fairy rewards you with peace and quite of a rural property with massive private gardens, yet central to all the local attractions you will want to see. Enjoy our secure & private 6.5 acre property, with room to roam, space to relax, somewhere for the kids to run & play safely, a place where the whole family can spend quality time together & breath the clean fresh country air amid a true rural atmosphere. It will recharge your very soul. 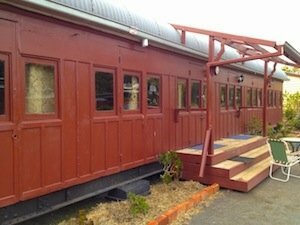 A Sydney double/Decker carriage converted to 2 bedroom unit, bathroom & kitchenette. Fantastic unit, big double doors open onto a large covered deck creating a great in/out-door living area. 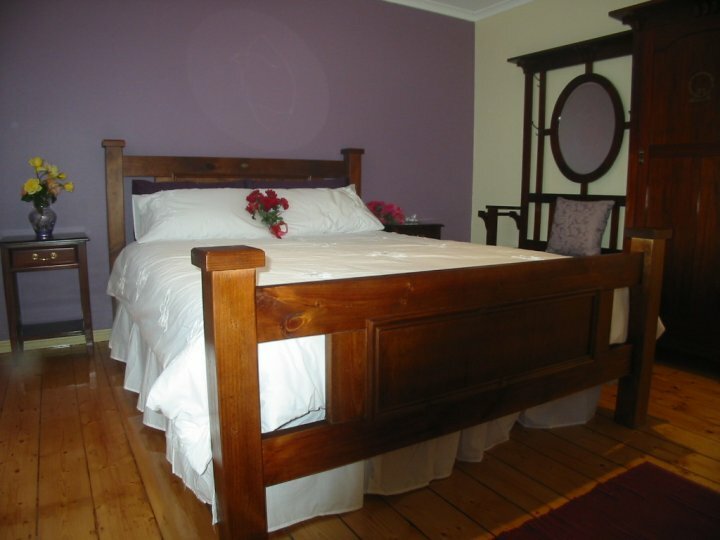 Queen beds in 2 bedroom, fold out double in lounge. 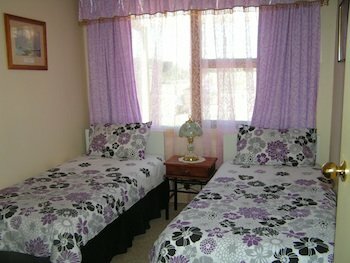 A bright Studio style unit, en-suite bathroom with toilet & shower. Kitchenette facilities with Fridge, Toaster, Kettle. Sheltered deck at door, Queen Bed, couple of comfy chairs & TV. Ideal for a single or couple as a stop over or base to explore region. 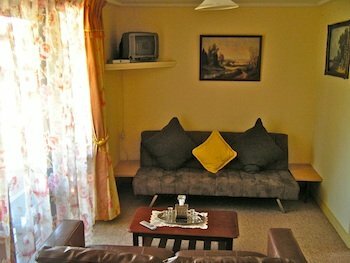 Beautifully appointed compact cottage, 2 bedrooms with queen & 2 singles, en-suite style bathroom off living area. Private fenced & gated fully covered deck on front overlooking a lovely quite garden area, great place to relax and recharge. Beautifully appointed lrg 2 bedroom cottage, 2 queen beds, en-suite style bathroom off lrg open plan living dining area & kitchenette. Morning Sun drenched rural style veranda at front door. 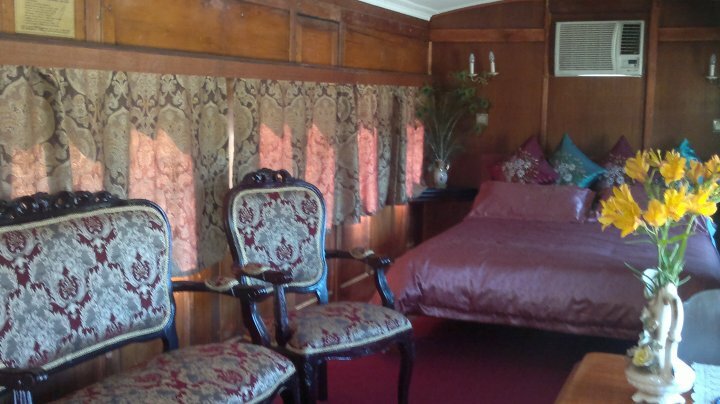 Beautiful, unique period train carriage with fabulous decor, queen bed in bedroom and comfortable fold out queen futon in lounge. En-suite style bathroom with toilet basin & shower. Property can accommodate up to 38 guests & the large dinning room can be used for parties, weddings, conferences & presentations. Arrival & Departure outside these times by arrangement! All rates are based on 2 people in 1 bed. Add $20 per extra guest or bed per night. "Overland" is 4, including 2 children. "Bondi Express" is 6, including at least 2 children. 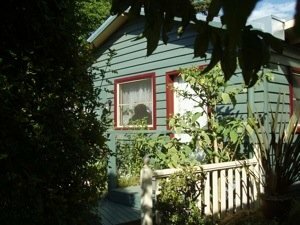 "Olive Tree Cottage" is 4 people. 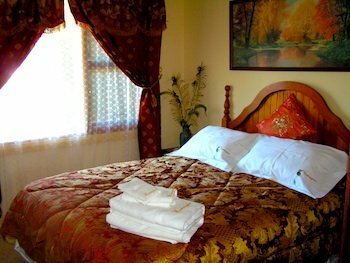 "Station Masters Lodge" accommodates 2. Large private & secure car park. Parking facilities for large vehicles, coaches & motor homes. All units have reserved parking close to the unit. 23 klms West of Port Fairy on the Princes Hwy. Central to historic towns and villages. Close to Dog Friendly beaches & lakes. All along our coastline here are endless stretches of wild ocean beaches. You feel free and invigorated just walking along them. Often not another soul in sight. Great place to let the dog have a real big run. The lake is only 8km from our doorstep. With a large beach frontage, walking tracks, and beautiful views it is a delightful place for a quiet picnic. It is also a popular fishing spot with large bream and salmon being caught regularly. Situated midway between Port Fairy and our property the Crags offers tourists a spectacular view of our rugged coastline. Absolute magic for that romantic sunset or to witness the raging might of the Southern Ocean. Victoria's first settlement. Some lovely views from the cliff tops across the harbour, bay and ocean. A lot of historic buildings worth seeing.